Thank you for purchasing JAD WP! To enjoy the flexibility and customizability of this theme you need to create a new page which is going to be the homepage. 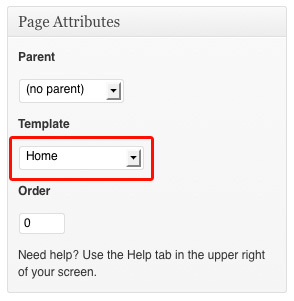 Don't worry if this is the first time you're creating a page to be your homepage using 'Home' template. It's easy, just look on the screenshot! That's all you need to start setting up the theme! Then you have to go to 'Theme Options' and set a global theme settings. Please read the manual to satisfy all your needs.